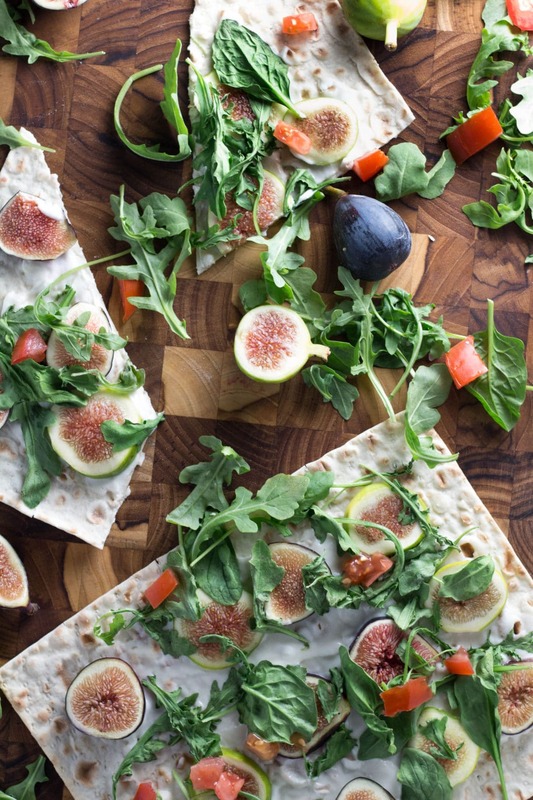 Pizza always makes for a fun appetizer or main entree for friends and family, but it doesn’t always have to be loaded with excess sodium and fats! Ditch the meat lovers pizza and try out this fun twist on pizza! Anyways, I hope you enjoy this 20 minute recipe! Preheat oven to 325 degrees F. Lay flatbreads on a baking sheet. In a medium sized bowl, mix together the honey and goat cheese. I used a fork and it worked perfectly. Mix until smooth. Using the fork, spread evenly across the flatbreads. 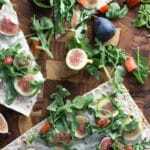 Then, lay the fig slices on the flatbread and sprinkle each flatbread with 1 large handful (or 1 cup) or the arugula and spinach mix. Cook in oven for 5-7 minutes. Enjoy!